This private home is situated in hills overlooking Palmares (ALAJUELA), is just 7 minutes from of the center town and a short distance from one of the most important highways of Costa Rica. Enjoy the panoramic views of the central valley from high above in the mountains and relax in a totally natural environment. 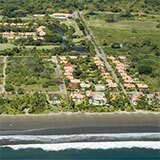 Investing in Costa Rica is your best option and our Real Estate Office is here to help you make your dreams come true. Contact us today for appointment and more information on this and other exclusive mountain estates.